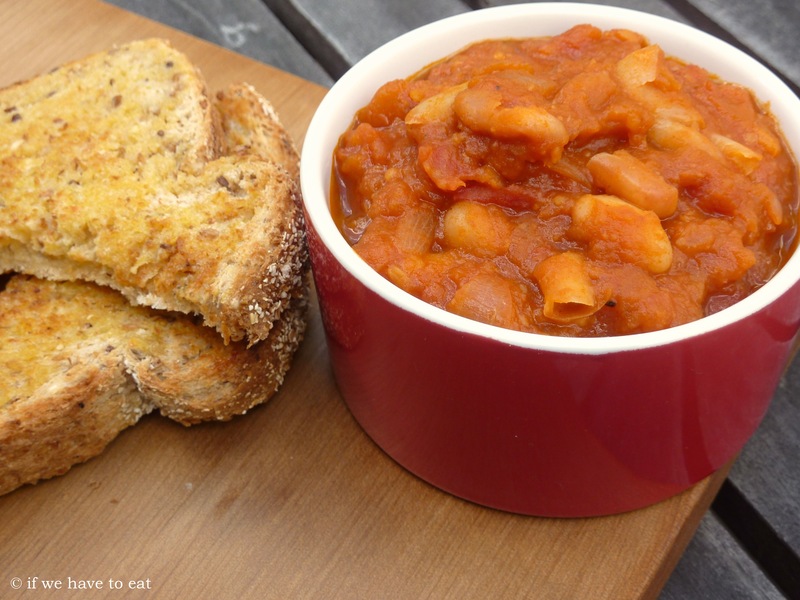 Baked beans are great for breakfast – filling and a serve of vegetables too. Canned beans are convenient, but full of salt and sugar. I looked at a lot of recipes to see what the flavourings were and to find an option that didn’t use sugar. This recipe is based on one I found on the Recipe Community website – and the idea of “caramelizing” the onions to provide the sweetness comes from a blog called The Obsessed Chef. You made your own baked beans! Amazing, did not realise until I saw click on receipe! This entry was posted on May 12, 2013 by ifwehavetoeat in Breakfast and tagged Breakfast, Easy, Make Ahead, Recipe, Thermomix, Vegetables.